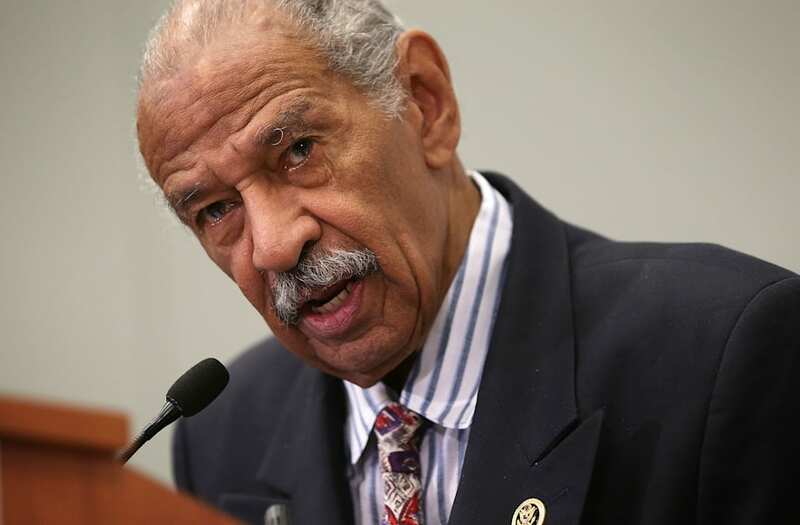 Earlier in the day, House Democratic Leader Nancy Pelosi urged “due process” before making conclusions about Rep. Conyers, saying the congressman is “an icon” who has worked to protect women. Conyers has held a powerful position on Capitol Hill as ranking member on the House Judiciary Committee, but after Pelosi's interview on Sunday, he announced that he would step down from the position while the Ethics Committee investigates. Pelosi was also asked whether she would accept an apology from Democratic Sen. Al Franken of Minnesota, who has apologized after being accused of unwanted touching from multiple women, if no other accusers surfaced. The reporting process on Capitol Hill for sexual harassment claims is a very long and arduous process that can take months to play out, but Pelosi said the House is expected to soon take up new action aimed at preventing such conduct when they vote this week on a resolution that would require all lawmakers and their staff members to go through antiharassment training. The Senate passed a similar measure earlier this month.